Town of Caledon (Lower Tier Peel)Record Owner? Log in. A town formed by regional government in 1974 by the incorporation of the Communities of Alton, Belfountain, Caledon, Cataract, and Inglewood; the villages of Bolton and Caledon East, and the T. of Albion. The present town name, however, has a long history. Settlement in this hilly and very scenic region started in 1819 when the government opened a rough sleigh track for surveyors. The first town meeting was held in 1824 near Belfountain when settlers appointed a clerk, tax collector, and constable. The community was ftrst called Raeburn's Corners and then Charleston. Caledonians were people skilled at concealing themselves in woody shelters. There were a number of clashes and near riots during the 1830s because many of Caledon's Scottish settlers supported William Lyon Mackenzie and his Reformers, and just as many others were staunch Tories. On one occasion, the story goes, a group of Orangemen broke up a Reformers' banquet Gust as grace was being said) by storming the meeting place and eating all the food in sight. In 1864 James McLaren, son of one of the township's pioneers, built a castle with a Norman tower at Caledon. 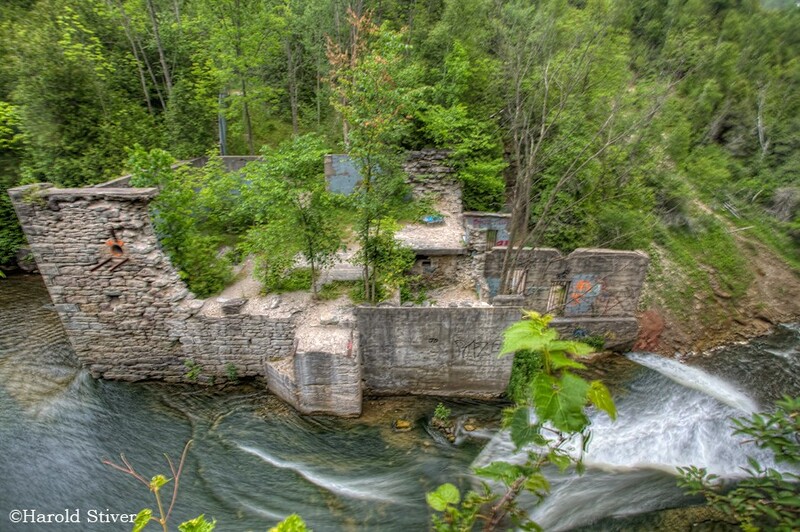 For a century the castle was a well-known landmark, and here the Grangers, Ontario's first farmers' cooperative, for a time used to hold their meetings before the property was acquired as a private residence. The castle was destroyed by frre in 1964. Natural Resources Canada in the Region of Peel. 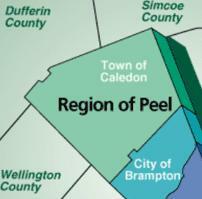 Have something to say about Town of Caledon (Lower Tier Peel)?